Ray is your partner and focuses on your development as an athlete after specific Goals are set, met and beaten. Communication and feedback from the athlete is key. "Gold Level Coaching - $300 Monthly, Fully interactive with constant feedback and you have contact as needed. Silver Level Coaching - $200 Monthly with weekly contact by phone and e mail and your plan will be updated. Swim, Bike and Run 'on hands' coaching rates available." Ray is certified USAT Level 1, USAC Level 2, ASCA Level 2, METS Level 1 and Training Peaks Level 2. 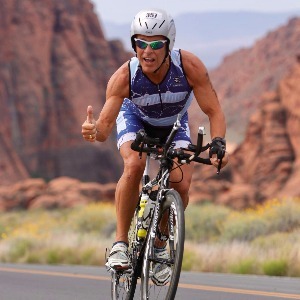 He has finished 19 Ironman distance races including Kona and is still competing at 70.3 and Ironman distance races. He partners with athletes to attain THEIR goals whether just to finish or podium. Ray's athletes are primarily training for 70.3 and Ironman distance Races having coached over 100 first time finishers to those distances. I prefer athletes who as a minimum use a heart rate monitor or are prepared to invest in one that is downloadable. Success. Coach Ray Kelly has been notified of your message. To hire Ray Kelly as your coach, select the coaching service that is right for you.